If it's Happening, It been whispered here .. If it's not whispered here, then it ain't happening!!! The Agrippina Ballet Shoes which was posted on Azoury’s Flickr just brought back memories. The Ballet shoes are similar to the one in the Javier Pérez video of a ballerina who was given pointe shoe that was extended with kitchen knife to dance on top of a piano. That video had lot of mixed emotions and feelings in one,someone termed it beautiful Madness lol. Seeing a similar ballet shoes from Azoury for the new Slink pointe feet just felt right. However lets hope the Ladies don’t start experiencing those mixed emotions when wearing the shoes lol after all pain always goes with beauty (side eyes). This would have been a perfect “See what I saw in real life” … lol just that it didn’t have a real life designer. See what I found in Real Life!!! Rocio Roses sandals versus Dolce & Gabbana Resin Rose Sandal! Berlin in the 20s – Most Inspiring Video Currently in Second Life! The 1920s Berlin Project created by Jo Yardley has been in Second Life for a long time and has made a great and fantastic reputation in our minds for years. Pepa Cometa released a video on Berlin 1920s and you should really watch it..
You can also watch Berlin in the 20s below and share this around. This happens to be the cleanest and most decent video I have watched on Second Life and already it has recorded over 12k views. This really gladdens us that Second Life still lives. Lona Lenroy – Why I Love Fashion? – Reaaallllyyy! Was that Stolen? Someone just whispered to The Whisperer about new information on Miss LOna Lenroy. We at the Whisperer were told about our last post, that both couples are together.. Well congratulations to them both and wishing them more togetherness and long lasting relationship. Pedro Naire and Lona Lenroy : Separated? Late last year, precisely in December, it was Lona Lenroy and ARnnO PLAneR (spell checking *side eyes*) that were separated and then came Lona Lenroy and Pedro Naire. Only just months, these two seem to have ended their partnership in Second Life. But as always, Lona Lenroy tries to play it Kool and act matured about it, making everyone believe they are still in a relationship. Lona quits playing the “I ♥ u” game to our faces, It’s no more a secret and you seems to be the one begging since you leave comments on Pedro’s Flickr photos repeating same syllabus “great pic baby ♥ love u” with no response back. SL Residents reacts to Flickr Photo Bumping for Faves! Flickr has been heating up today due to photo bumping for Flickr Favorites and this photo was published in Doutzen’s Flickr copied from Keely’s Flickr and copied from Grazia’s etc.. lol So much reaction to this little activity that is done willingly and unwillingly by some resident. Read to see how you annoy resident on Flickr lol. 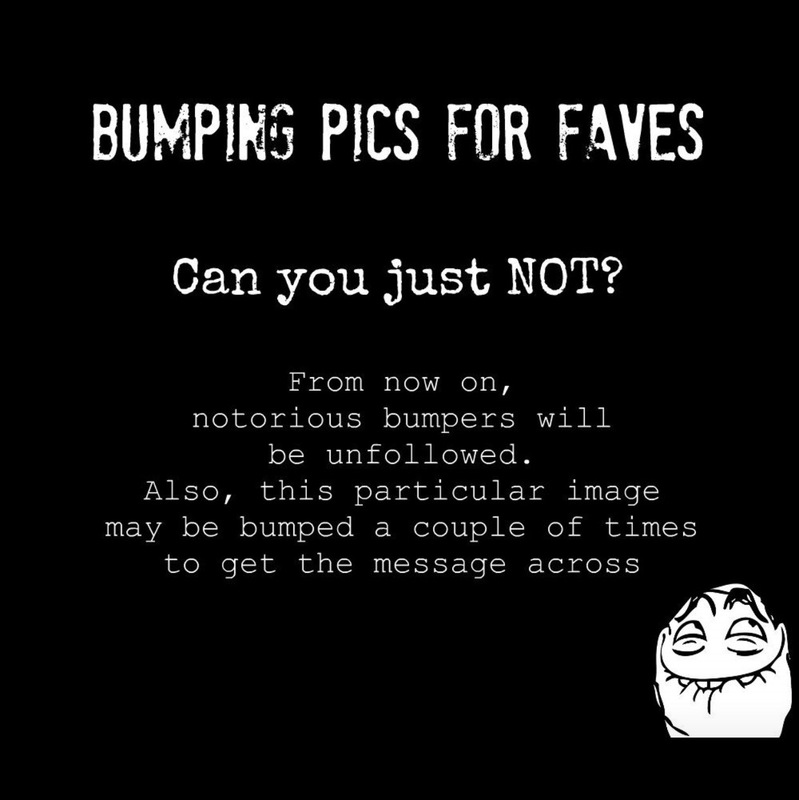 Photo Bumpers Watch Out !